Decoupage is a popular craft process for applying paper and fabric to a variety of surfaces with a product very similar to watered down glue, which in fact can be used as well. This is a guide about decoupaging on glass. How do I transfer a real photo to glass using mod podge? If this one doesn't work just put your question into YouTube's search and bunches will come up. YouTube is the best to learn a new craft technique!! Post back examples of your projects!! Sounds like fun! This website turns your photo into a decal. You put the Modge Podge on the face of the photo, place the photo face down on the glass, and peel the photo off. You need clear packing tape. You need a color print of the photo, and it must fit the width of the packing tape. You put the photo, color side down, on the sticky part of the packing tape. Make sure that the paper is completely on the tape, by running over it with your fingers. Use a wet cloth to GENTLY wipe off the paper from the tape. There will be an image left on the packing tape. You can glue this or modge podge this onto the glass. I am working on some spice jars, and they are glass. I have printed out some labels I have designed and was wondering if mod podge will work for this, so when they need washing I can wash the jars. If so how do you recommend that I do this? Do I just put it over the label or do I need to put some mod podge on the jar first then put the sticker on and then another coat over the top of the label? Can I ModPodge regular glossy finish photographs onto glass? Will it stick? Or do I need to use "paper" photos? I want to decoupage a professional photo on to an old glass window. The window is cracked in places. What is the best way to do this? What supplies do I need? Which kind of mod podge (or other medium) should I use? This is the first time for me to do mod podge on old pickle jars. Please help. How can I avoid colors running when decoupaging on glass? 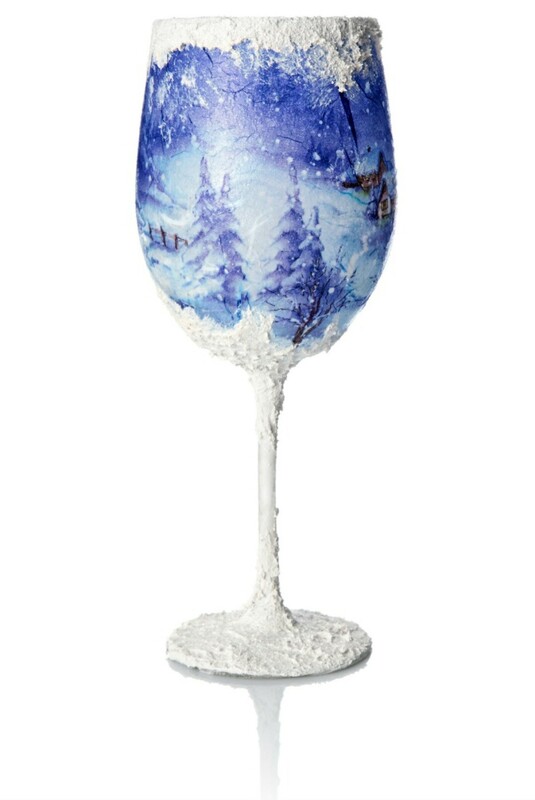 Decorate a glass or vase by decoupaging a napkin on to it. Decoupaging a napkin on glass is a perfect way to make custom decor items for you home. 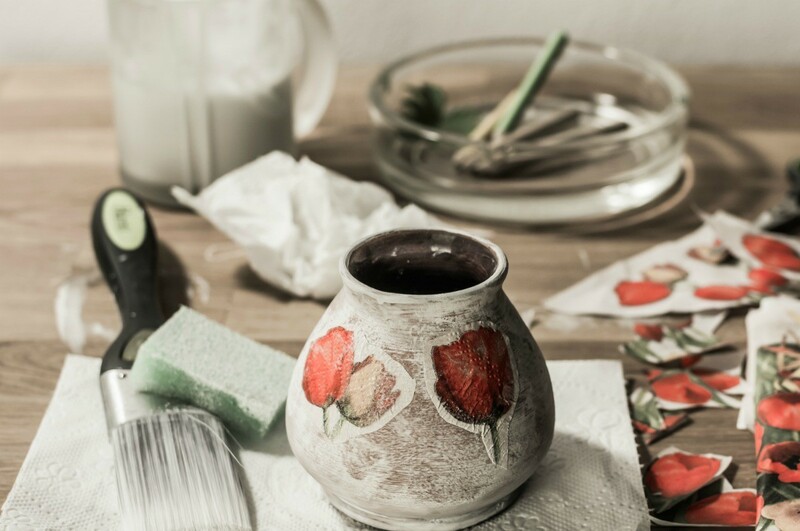 This is a guide about decoupaged glass vases. Decoupage is a great technique to use for decorating glass vases. This is a guide about decoupaging fabric on glass. 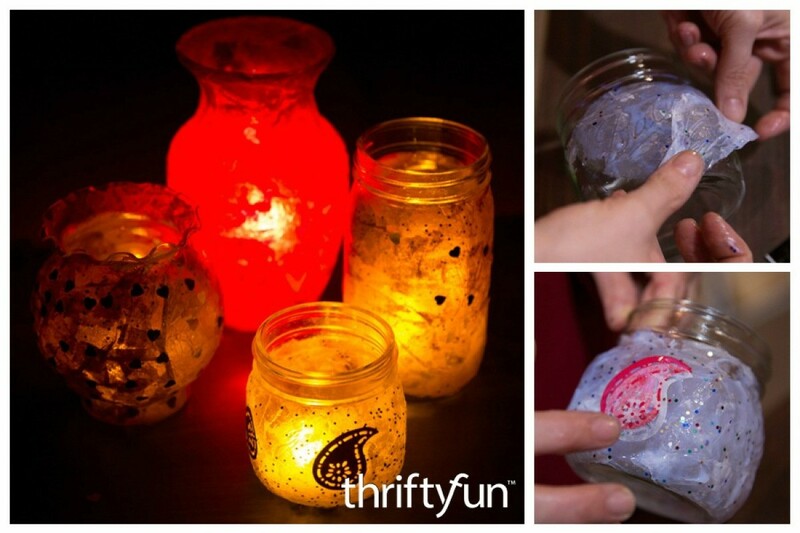 You can may delightful plates, vases, and other decorative objects by decoupaging fabric onto glass. 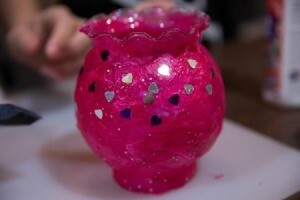 This is a guide about using Mod Podge on glass. 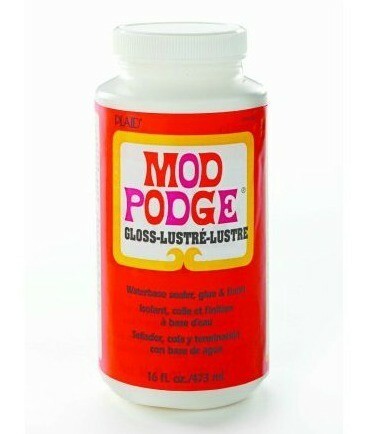 Mod Podge is an easy to use product for your decoupage projects.